The avalanche came. And went? Anyway, this cataclysmic offering aimed “to provoke creative dialogue and challenge complacency in our traditional higher education institutions”. 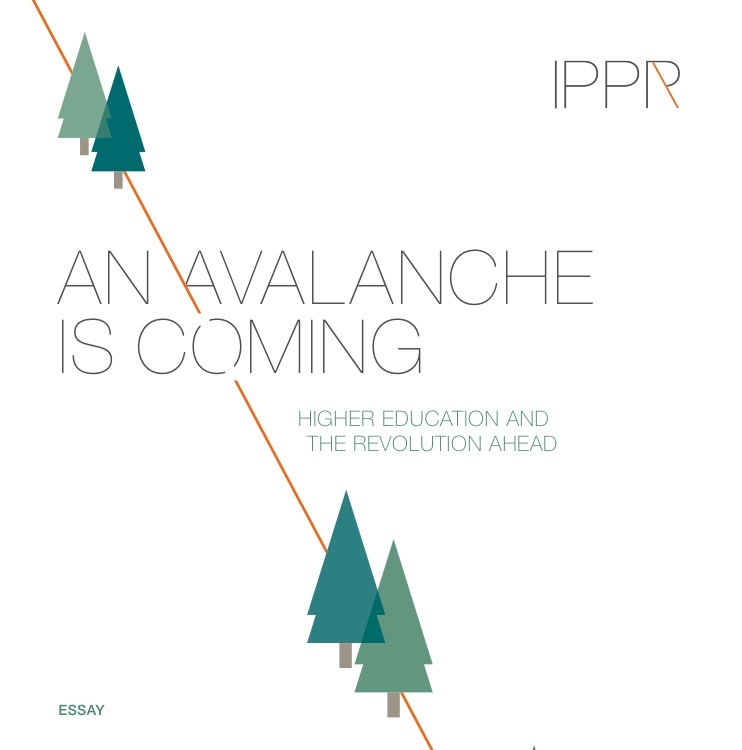 With a massive diversification in the range of providers, methods and technologies delivering tertiary education worldwide, the assumptions underlying the traditional relationship between universities, students and local and national economies are increasingly under great pressure – a revolution is coming. In summary, the case seemed to be that the future was not great for those institutions which did not adapt to the new thinking. The education ‘revolution’ that Barber, Donnelly and Rizvi are such keen advocates of is a comfortably fed one. This is not a cry from the barricades – not a populist movement of grass roots activists. The hand-wringing citation of unemployment statistics and rising student fees comes not from the unemployed and poor, but from the new education industry that wants to find a way into the marketplace. Again and again we, as citizens of the world, are encouraged to rail and protest about the broken system that somehow seems to have educated world leaders, scientists, lawyers, engineers and senior staff at academic publishers with pretensions at “thought leadership”. A system which anyone would admit has problems; problems caused by the imposition of a wearying and inapplicable market. Section 6 of the report, “The Competition is heating up”, retreads familiar grounds concerning the all-conquering world of the MOOC – that well known reheating of early 00s internet education hype flavoured with a rich source of venture capital. But this is situated within a wider spectrum of globalised private for-profit providers – the lot of whom (poor reputation! high drop-out rates! difficulty in gaining degree awarding powers!) is bewailed at some length. It is a thorough and quite devastating critique. Yes, there has been change in the past year and of course institutions have had to adapt. MOOCs will continue to have an impact in the longer term. But this is not a revolution. Or an avalanche. This entry was posted in Admin, Education, Fads, HE, Management, video and tagged Administration, avalanche, HE, IPPR, MOOC, teaching and learning, universities, WonkHE by Paul. Bookmark the permalink. Thanks for this John. I wouldn’t honestly claim this was anything like an analysis, more of an observation. 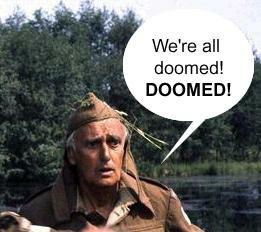 As for the complacency charge? Not sure that not panicking = complacency!